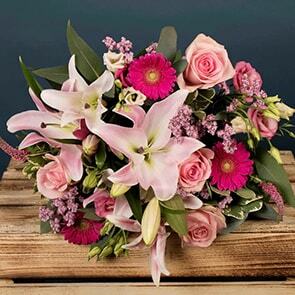 Our next-day flower delivery service to Drogheda is ideal when you’d like to lavish someone with a thoughtful gift, even at a moment’s notice. At Bloom Magic, we specialise in creating one-of-a-kind moments, both for the recipient and for you. We choose the freshest blossoms, gather them into luxurious arrangements, and deliver them directly to your recipient. All of our bouquets are hand-tied and made with fresh-cut flowers, so they’ll arrive beautifully-displayed and will retain their breath-taking lustre for a week or more, and we back up our bouquets with the best flower delivery service in Ireland. Our bespoke collections have been created by Drogheda’s finest florists, with customised bouquets only found on Bloom Magic. We source our flowers locally whenever possible and use packaging materials sparingly, guaranteeing the arrangement you select is as eco-friendly as it is attractive. It’s this attention to detail that we put into each and every floral arrangement which makes it special and ensures its arrival becomes a cherished memory. No matter the situation, Bloom Magic has the right bouquet to suit your needs. Commemorate happy events, like births, birthdays, and anniversaries with a magnificent bouquet. 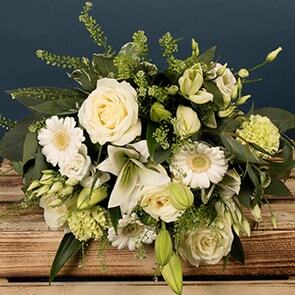 All bouquets in our dedicated occasions sections have been specifically chosen to suit the events. Our new baby flowers for Drogheda delivery features neutral coloured bouquets as well as flower arrangements with blue or pink touches. We also have a corporate service ideal for businesses looking to have regular flower deliveries to Drogheda set up. You can arrange bouquets for special occasions, like your employee’s birthdays, or set up a flower delivery for the reception areas. We also cater to special events, so please do get in touch if you require flowers for corporate purposes. All details can be found on our dedicated corporate page, or simply get in touch with us. 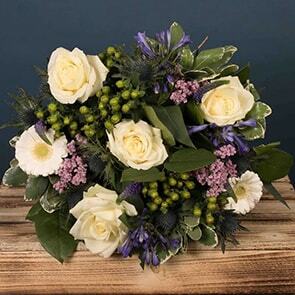 We also provide lovely blossoms to remind family and friends that your thoughts are with them during difficult times, including sympathy or funeral flowers and get well arrangements. However, you don't need hold out for a special event to surprise someone with a luxury bouquet. 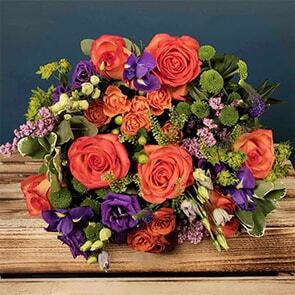 Simply order from our Just Because assortment and a wonderful team of expert florists will begin the process of making the ideal hand-tied bouquet immediately. Bloom Magic is dedicated to providing you with exemplary service, from the moment you visit us to after your online order has been complete and your flowers have been delivered. Our team members are centred on giving the finest service possible, and are available using instant message, email, and phone, making it easy to pick the best bouquet or obtain help choosing your gift. In addition, we guarantee the superiority and life of our arrangements, so you can relax knowing that the person you order for will be able to indulge in your generous gift for an extended period of time.